Carpet Cleaning in Lawrenceville, NJ. 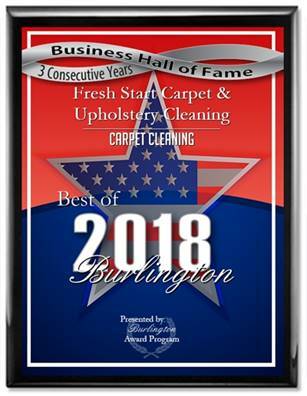 Fresh Start Carpet Cleaning is a NJ based company that has been providing outstanding service to our customers in Lawrenceville since 1999. We have 2 trucks that are available 24 hours a day and we will respond to any emergency call immediately. Fresh Start Carpet Cleaning is here to serve you and we’ll be by your side until the situation is resolved. All jobs are owner supervised and we are fully insured. We specialize in pet odor and stain removal. We want to maintain a healthy living standard for our customers by providing them with the healthiest cleaning methods available on the market. Ethical business practices and a small well-trained team of technicians has helped us gain the trust of our customers. As a small company we guarantee that you’ll see the same faces in your home at each appointment, this is almost unheard of with our larger competitors. Our prices are very reasonable we have different packages to suit most budgets. We utilize a truck mounted steam extractor system that heats up to 190 degrees. The carpet is cleaned with pet-safe detergents and then rinsed using fresh water steam with an acidic PH level. This repels dirt’s ability to stick to the carpet. Truck mounted cleaners are the most effective carpet cleaning tool on the market. Our system is powered by a truck that remains OUTSIDE of your home while the dirt is collected. We do not require the use of your water or electricity to operate any of our systems. Carpet Cleaning Mt. Laurel, NJ.